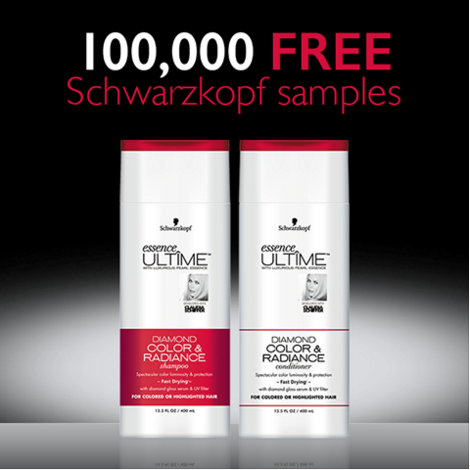 FREE Samples of Schwarzkopf Diamond Color & Radiance Shampoo and Conditioner! You are here: Home / FREEbies / FREE Samples of Schwarzkopf Diamond Color & Radiance Shampoo and Conditioner! Fill out this request form to get a FREE Samples of Schwarzkopf Diamond Color & Radiance Shampoo and Conditioner! First 100,000 people!! You should receive yours within 1-2 weeks! Would make a great Stocking Stuffer!